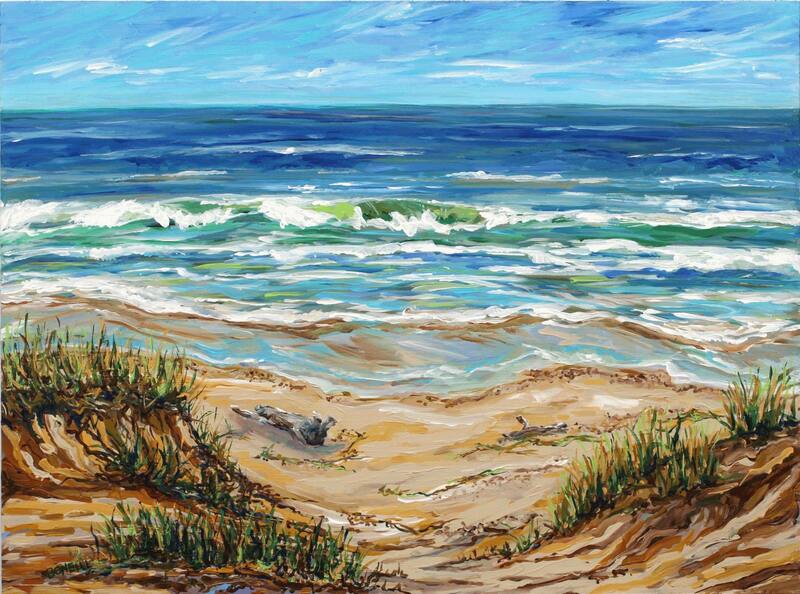 A beautiful giclee print inspired by weekends spent enjoying beaches all around the Michigan Lakeshore! Driftwood, sand, beach grass, and the beautiful blue-green lake water. Your choice of a high quality giclee on fine art paper or gallery wrapped canvas. Prints ship for free!